Hidden Valley Kennels of Riverside, CA was established in 1972 by Paul and Peggy Doiron. For more than 46 years they have built their boarding facility on love and a passion for animals. The grounds and kennels are maintained with great detail for the safety and comfort of every dog and cat. Each animal benefits from a lifetime of experience in training and care; a tradition being carried on with Paul and Peggy’s son, Dennis, who is also an active part of the business. 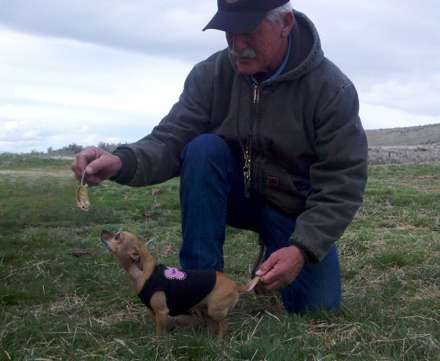 Hidden Valley Kennels also offers field dog training specializing in pointing breeds. Paul and Peggy have been highly successful in field trial competitions, with hundreds of award placements and dozens of field champions to their credit. This resume includes the handling of two AKC National Champion Brittanys. Please feel free to call and discuss the options for your competition or hunting companion.